When you buy a bond, you might find that there is a sinking fund provision. So what is a sinking fund? This is an interesting measure that allows an entity to establish a fund for the purpose of ensuring that there is a way to repay the principal when it comes due. The idea behind a sinking fund is to help the bond issuer to be able to more affordably retire its debt. Normally, the sinking fund is established as a way to build up a certain degree of capital so that debt is easier to repay. The entity issuing the bond establishes the fund, and then uses money to purchase the outstanding bonds on the open market. So, instead of waiting to repay the principal when the bond reaches maturity, the issuer re-purchases the bond on the market. Now the original issuer is the bond holder, so the debt is actually retired. Another way to use a sinking fund to repurchase debt is to make use of callable bonds. These are bonds that have provisions indicating that the issuer can recall the bond at a particular time, and for a particular price. Before you invest in a bond, make sure that you double-check the terms of the bond for information on whether or not it’s callable in relation to the sinking fund. If it is, it means that you might be required to sell it back at a discount, meaning that you won’t receive as much interest. For the bond issuer (often a corporation), the sinking fund can help reduce costs and help reduce debt. The bond issue is designed to help raise capital, but it’s possible that inflows improve, and the issuer is able to repay the debt earlier. The sinking fund can make this possible. The money in a sinking fund is used to buy bonds on the open market, purchasing them back as part of the regular business of the bond market. It’s also possible for issuers that think that they will be able to repay the debt sooner to establish the fund and issue callable bonds, or bonds with sinking fund provisions. That way, they have the right to repurchase bonds at a discount and retire their debt sooner. There are also some benefits for investors. An investor can choose to purchase bonds with sinking funds in order to limit risk. A bond issuer with a sinking fund is more likely to repay all of its principal. If you are concerned about default, purchasing bonds with sinking fund options can help you avoid these problems. The main downside to buying a bond with a sinking fund provision is that you could lose some of your expected returns. You reduce the risk of losing your principal, but you might have to put up with interest rate losses as the bond issuer is allowed to buy back the bonds at a discount. Carefully consider your options before you make a decision about whether or not to purchase a bond with a sinking fund option. You need to make sure that you understand the risks as well as the rewards. 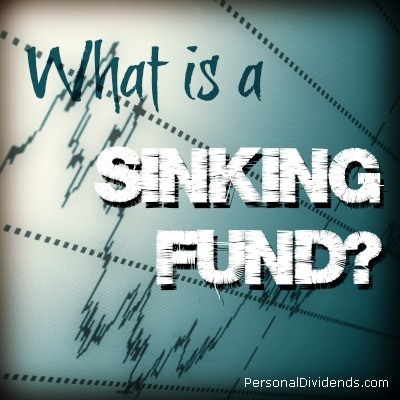 Nice explanation of what a sinking fund is. Not sure I fully understood it before.